This is one of a group of five unfinished sketches from Samuel Cooper's studio which survive in the Royal Collection. The remaining miniatures in the group show Catherine of Braganza (420644), Barbara Villiers, Duchess of Cleveland (420109), Frances Stuart, Duchess of Richmond (420085) and George Monck, Duke of Albemarle (420086). The artist would have worked up these sketches directly from the sitter, possibly with a view to completing them if further commissions were forthcoming. In this instance, no finished portrait relating to this sketch survives. This portrait of the young Duke of Monmouth is particularly free and vivid. The artist has concentrated on the face and the hair without even suggesting the form of dress. The lack of finish equates with a certain spontaneity which was appreciated in the seventeenth century as evidence of the artist's technical skill, but is particularly appealing to modern sensibilities. The freshness of the image is striking and is enhanced by the youthfulness of the sitter who, according to the earliest sources, was only 15 or 16 at the time. 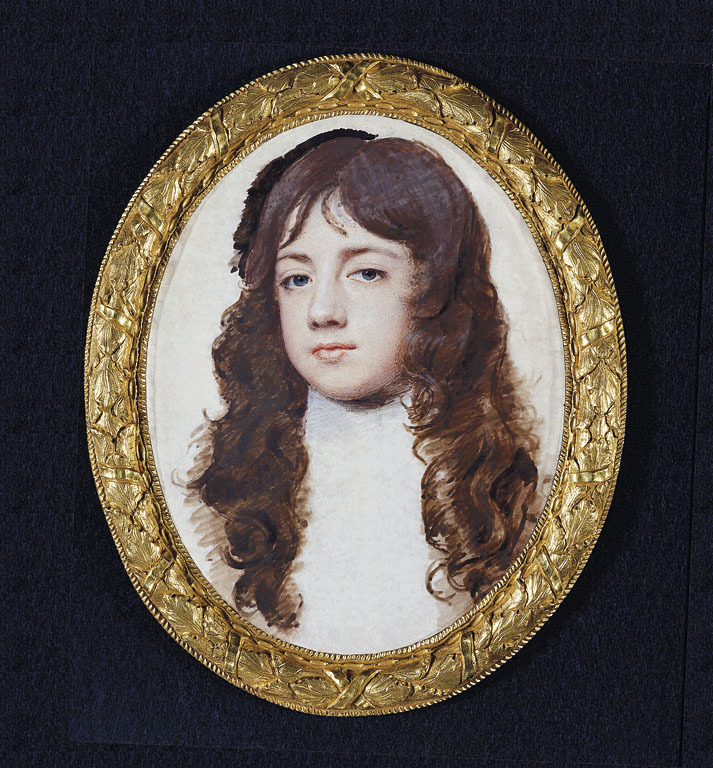 Another miniature by Cooper of the Duke at the age of 18 is in the Buccleuch collection. The poet John Dryden praised the sitter for his beauty in Absalom and Achitophel, asserting that it 'seem'd as he were only born for love'. James Scott (1649-85) was the illegitimate son of Charles II. He was born to Lucy Walters at The Hague during the years in exile before the Restoration. Acknowledged as the King's son in 1663 when he was created Duke of Monmouth, he married Lady Anne Scott (whose surname he took) in the same year and was made Duke of Buccleuch. Attempting to establish his claim to the throne after the death of Charles II, he led a rebellion against the Catholic James II, but was defeated at the Battle of Sedgemoor in 1685 and duly beheaded for treason.